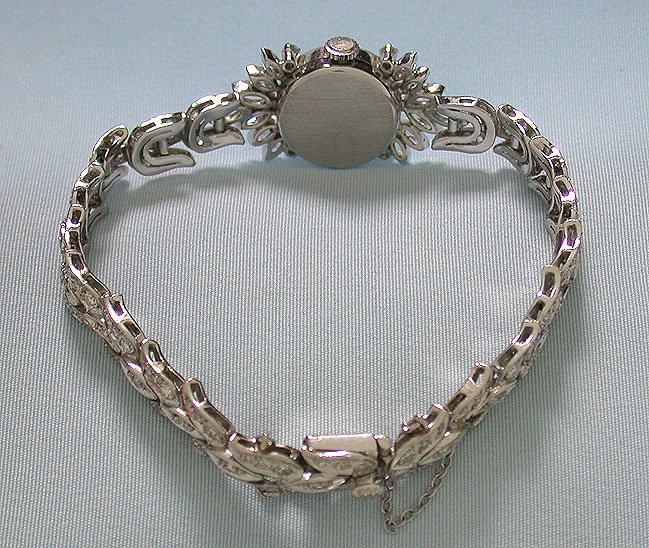 Fine Movado platinum and diamond ladies bracelet vintage wrist watch circa 1950. 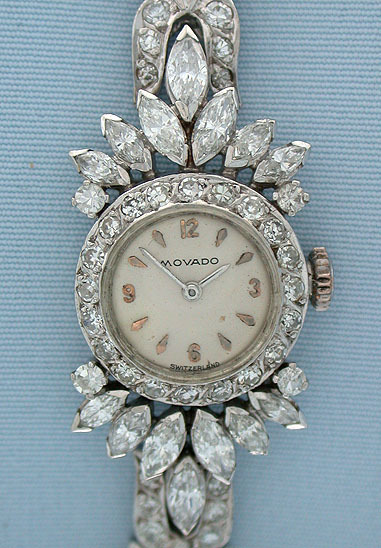 The lovely case with 24 diamonds weighing approximately 1.7 ct. the 6.75 inch 18K gold band with 139 diamonds weighing approximately 2.0 ct. Nickel 17 jewel movement. Beautiful.